Dravyaguna is the basic subject of Ayurveda having eight broad branches. It may be called as the Materia Medica of Ayurveda . This series by a renowned physician and a versatile scholar of Ayurveda is the best in English language. The first volume dealing with the fundamentals was published in 2002 and the second volume deals with the Drugs. This is the first work published in English and written according to the CCIM syllabus for the subject-Dravyaguna. This work discusses the 122 main herbs in detail, followed by 250 other herbs with introductory part. The herbs are provided with the information right from the Vedic period to the latest, including the current research. All the references about the properties of the herbs are provided as the foot note at the end of the each herb. The controversy about the individual herb is provided as a separate entity, which gives the clarifications regarding botanical identity. Equal emphasis is given to classical literature including Sanskrit references, botanical descriptions, therapeutic utility and scientific studies. Dr K C Chunekarji is kind enough to write the foreword for this work. All the literature available at present is consulted while preparing this work making this more useful to both UG as well a P G students. To make this work friendly to the students, five annexure are provided in the end. The index is arranged as per the botanical sources alphabets. 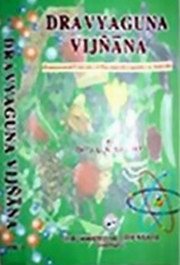 Students, teachers and practitioner will be benefited by the exclusive information on several herbs provided in this work. Dr J L N Sastry hails from a traditional Ayurvedic family. He is born at Narasapuram (W G Dist., Andhra Pradesh) on 6-07-1965). The author is the recipient of two gold medals from Nagarjuna Univ. (AP) fro the merit shown during BAMS (1988). He presented several clinical and scientific papers at Regional, National and International seminars.